INSURANCE industry chieftains have urged the government to make insurance the cornerstone of the nation’ economic vision. 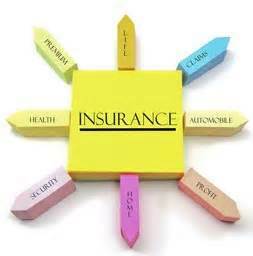 The industry justified the call on the fact that insurance still remained the engine room for economic survival of any country, that is, insurance exists for the survival of other businesses. The relevance of insurance to national development, insurers explained, was not surprising as reduction of effect of uncertainty and volatility helped companies operating in the sub-sector to smoothen the economic circle and reduce the impact of crisis situation on the micro and aggregate macro levels. According to him, the IICC has therefore set an agenda to improve the presence of the insurance industry as a holistic entity for the purpose of strategic policy management of relevant stakeholders. With this level of advocacy, it is hoped that the industry will be able to follow up matters of collective interest with renewed vigour. On the insurance industry conference, the CIIN boss said the insurance industry had endeavored to organise a common insurance industry conference in the past without success. However, the IICC at its meeting on November 19, 2014 resolved to hold an annual mega conference of the industry together to act together and speak with one voice. The maiden edition of annual mega conference is scheduled to hold from 26th July, 2015 to 28th July, 2015 in Abuja. The theme of the conference “Developing insurance business for national growth” was informed by the need to upscale the capacity of the insurance industry for effective performance and improved contribution to the growth of the Nigerian Gross Domestic Product which is receiving the coordinated attention of the industry. He said the emergence of new ideas to improve the relevance of the industry in all facets of the nation’s economy is a focal point of the conference. It also represents a platform for all stakeholders to discuss topical issues affecting the insurance industry, the financial services sector and the national economy. The IICC is chaired by the President of the Institute and has members from all sectors of the industry, namely Chartered Insurance Institute of Nigeria (CIIN); Nigerian Insurers Association.